How to Start an E-Commerce Business in 7 Days! The Complete Guide! This blog gives a complete guide to starting your own E-commerce store. 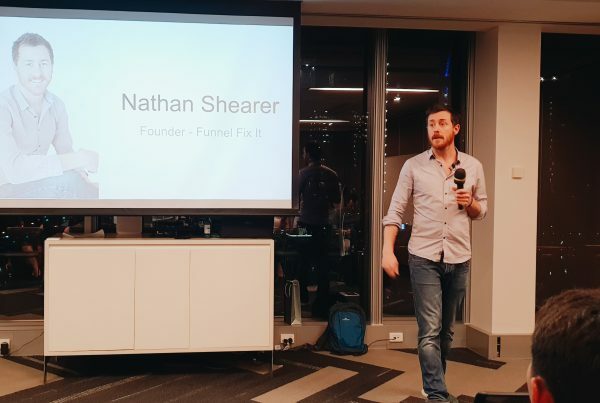 It is based upon the story of WPCurve in the 7 Day Start Up written by Dan Norris and a presentation by Butter Coffee founder Nathan Shearer at the E-Commerce Experience. Only 7 days really? Doesn’t starting up a business take months of planning & research? 7 days may not seem like enough time to start an online business but it’s important to move fast. Otherwise, you risk dwelling on the minutia of your business and not on the important aspects which make your business work successfully. What about the months of planning and research? To start an e-commerce business we need ideas for products to sell. Ideas come from all around us. They come from the people we meet, our life experiences, our personal interests and research. The 4 hour work week, by Tim Ferris Talks about how some of the best ideas for products come from already existing ideas which people have made better. For example, 3 star Amazon reviews are a gold mine for these sort of ideas. Check out the video below of how to use 3 star reviews to come up with a product idea. So you have come with your awesome product idea. Now you need your MVP. (minimum viable product). The Lean Startup by Eric Reiss is a book that has revolutionised how startups work all around the world. It did this by presenting the idea of launching your startup with a minimum viable product and improving it over time through the build-measure-learn feedback loop. Although the idea of an MVP is mainly used for tech companies it can be used by E-Commerce businesses to set you on a path to producing what your customers really want. An example of how to launch with an MVP and creating the build-measure-learn feedback loop. Let’s say on Day 1 you came up with your business idea and decided to sell your own brand of hot sauce because you thought it would be a fun product to market and the potential to grow the business into a retail player was appealing to you. The problem is, although you like hot sauce and you have a basic idea of how hot sauce is made you don’t have the perfect recipe that will make your customer’s taste buds explode. By following the lean startup methodology, you would build your minimum viable product which is a basic hot sauce and test your business hypothesis (what you want to find out) and start the build-measure-learn feedback loop. After building your MVP, its time to test your hypothesis. Your hypothesis can focus on anything. In this example, the focus of the hypothesis is “How can I improve the taste of my product before launch” to find this out we have to ask a group of potential customers what they think of the product, measure their responses and learn from their findings. Making your business name sound original is no easy task. It’s important to stand out from the crowd and make people sit up when they hear your name. Not look up look down and forget your name 5 minutes later. It can be easy to follow the formulas of other companies that have gone before you but if you do this be careful as your business name can easily be forgotten. For example, there are heaps of businesses out there with names like Findr, Tumblr, Tinder & Flickr so try not to name your business in a similar fashion because it will get lost in the shuffle. To generate a large list of potential business names to work with, consider every name that comes into your mind even if it has nothing to do with your business. It’s all about free-flowing ideas. Some methods to come up with an original name include. Exploring keywords with Twinword a free keyword tool that can help you find inspiration for you business name. Read a book in pick all the words that resonate with you. If they resonate with you chances are they will resonate with others too. Play with your favourite words. Combine words together, cut them half, jumble the letters around and see what you come up with. When naming your E-Commerce business make sure that your name does not stop you from expanding into other markets. For example, if your planning to launch a brand of coffee but you’ll eventually move into the tea market. Having a name like OnlyCoffee limits your expansion possibilities outside the coffee market. You now have your list of original names for your E-Commerce venture. Now it’s important that your potential business names are easy to say, spell and type into Google. It’s important to test this with your family friends and colleagues. Tell them “Hey I’m starting an E-Commerce business called xyz” if they respond with “what’s it called again” that is your first warning sign that your business name is not user-friendly. As a rule of thumb remember the worlds top brands are few than 12 characters. So keep it tight. So now you have come up with a bunch of original user-friendly ideas that you’re happy with. Now its time to see its available. If you’re in Australia it’s important to check the Australian business name registry to see if your business name is available as well as a trademark and copyright check to save you any legal hassles later. It is important to check if your business name idea is taken online. Now its time to build your site. Fortunately, it has never been easier to create a fully functional E-Commerce website. Web platforms such as Shopify and WooCommerce allow you to create a basic website in hours with all the functionality an E-commerce site needs to launch. How do I know what Web platform to use to start my business? There are a tonne of web platforms out there where you can build your site. Some of these platforms include Magento, Big Commerce, LemonStand and Prestashop. 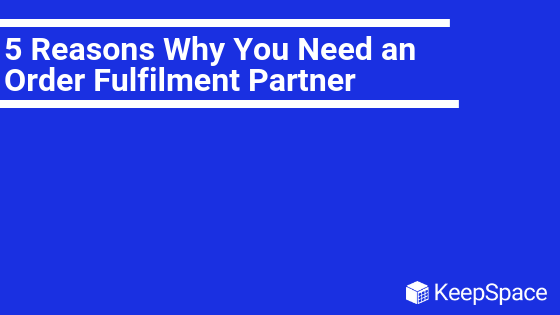 This section will cover the two most popular web platforms, Shopify and WooCommerce and compare them against these key factors. Shopify is an all in one E-commerce platform that makes it easy for you to build an online store, accept payments and manage inventory all from within the same platform. With Shopify, you don’t have to worry about the technical aspects of running a website with things like web hosting, and security being taken care of for you. The cost of a Shopify plan varies. The most basic plan starts from $29 dollars a month, This plan will provide you with everything you need and more to get started. From here you can upgrade to the Shopify plan for $79 per month and the Advanced Shopify plan for $299 per month. Each of these plans includes a domain name, SSL certificate and web hosting. What the plans don’t include are the third party plugins which take your Shopify store to the next level. Shopify also charges the user for every transaction which is processed through the platform. The charges are comparable with services like Stripe so it shouldn’t be a deal breaker if you’re first starting out. The beautiful thing about Shopify is that it is a fully hosted platform which means there is no need to install any software. It’s like playing a video game in the late 90’s and early 2000’s just put in the game and away you go. Shopify also encourages you to be creative. As soon as you set up, Shopify helps you to pick a theme for your website. Customising your theme is easy too. Shopify has a drag and drop interface which is great for those entrepreneurs who aren’t tech savvy. One limitation is that because Shopify is a fully hosted platform you are limited to the plugins and add-ons which are provided by Shopify. This may limit your design options which can be frustrating for more advanced website developers. However, all the tools that are needed to build and grow a successful E-commerce website are built in and ready to go. Shopify is flexible with its payment options offering third-party payment gateways as well as Shopify’s own payment option powered by Stripe that you can use to receive payments from customers called Shopify Payments. The problem is Shopify charges a 2% fee per transaction if you use a third party payment gateway. This fee is on top of the fee charged by the third party payment gateway itself. This fee can be reduced to 0.5%, however, you need the $299 Advanced Shopify plan. Shopify Payments, on the other hand, has a credit card fee of 2.9%+30¢ for basic plan users and lower rates for Shopify and advanced Shopify users. Shopify has a powerful API and a large App Store where you can buy addons and features for your online store. The Shopify app store has apps for SEO, lead generation, dropshipping, discounts and more. Shopify’s app store also has free apps usually created by third-party services who have their own pricing and the app only integrates into your store through an API. For example, KeepSpace integrates into Shopify stores through an API integration. It is important that your E-Commerce store can scale with your business. As your business grows you will need to implement systems which can help you overcome hurdles and challenges. As mentioned previously Shopify is a fully hosted platform. So all the technical parts of your website are being taken care of by Shopify themselves. This means you don’t need to worry about performance, server crashes, and security. Shopify takes some of the pain away from a growing business, however, it does add to your cost of the business. Despite the added cost using Shopify to automate your systems is cheaper than doing it all in house and hiring a tech team to manage it. WooCommerce is an open source plugin made for WordPress. It allows you to use the world’s most powerful content management system (CMS) to build your E-Commerce store. Because it is open source WooCommerce allows you to customise every aspect of your website. To use WooCommerce you first need to set up your WordPress website. To do this you’ll need a domain name, SSL certificate and website hosting. Generally, a domain name costs $15 or more if it’s a .com, SSL certificate costs $70 and web hosting is around $10 a month. WooCommerce doesn’t charge a percentage fee on every transaction which is a nice perk. However WooCommerce costs start to add up when you begin adding paid extensions to your site. Despite the initial cost to your business, using WooCommerce is the cheaper alternative in the long run. WooCommerce is not a fully hosted platform like Shopify. So you will have to install WooCommerce to your WordPress site. You will also have to manage updates, backups and web security, which is something Shopify does for you. Installing WooCommerce isn’t difficult, but it does require a small amount of technical knowledge to set up. If you are not tech savvy you may struggle with the initial set up but there are heaps of tutorials and resources available to help you through the process. The best thing about WooCommerce, is the ability to customise anything on your website site. WordPress makes customisation possible with the help of over 50,000 plugins. The downside to the flexibility is the learning curve that comes with it. Woocommerce set up wizard is good but it’s nowhere near as good and easy to use as Shopify. Stripe and Paypal options come with WooCommerce by default. WooCommerce also supports other popular payment gateways through installing third party addons, which is possible with Woocommerce because it is an open source platform. Woocommerce also does not charge any % fees which is an advantage over Shopify. With Woocommerce you are responsible for maintaining your website. As more orders and traffic come through to your website you will need to upgrade to more powerful web servers. While this does increase your cost, you have more control over your website, which some website owners like. However, the majority prefer Shopify for scalability purposes as it is a hassle-free solution. Now that you have your product and your online store, it’s time to market your product to your target market. Marketing is arguably the most important step in the 7 day startup plan. Without marketing, no one will ever find your product, especially online with new online businesses launching every day. So what’s the first step to marketing my online store? The first step is to establish your target market. Your target market is the group of people who will most likely visit your store and buy your product. the easiest way to define your target market is to create a buyers persona profile. Think about demographics such as age, location, gender, income level, education level, marital status and occupation. You can go further into it by looking into the psychographics of your perfect buyer. Consider, personality, attitudes, interests, values and lifestyles. Like your initial product, your buyer’s persona will not be perfect. It’s important to tweak your buyer’s persona as you collect more customer data. The easiest way to collect customer data is to set up Google Analytics and a Facebook Pixel for your page. Then send as many potential customers to a landing page as possible. Google Analytics will provide you data of who visits your page and the Facebook Pixel creates a lookalike audience to assist your Facebook marketing efforts. After you create your buyer’s persona, the next step is to create a marketing campaign to bring potential users to your site. In his book, the 7-day startup Dan Norris gives a list of 10 ways to market your business. Once you come up with your plan of attack its time execute and put your marketing plan into motion. 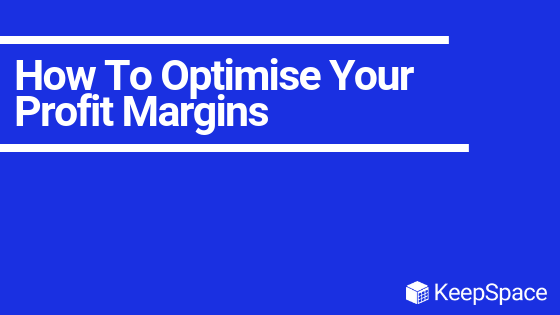 Before you launch your business you need a metric. The best thing to do is keep it simple. Nathan Shearer, founder of Butter Coffee shared that his metric was to simply make a sale. But your metric could be anything, as long as it measures the success of your launch. For Dan Norris his metric was monthly recurring revenue as his goal was to make enough money to begin paying himself a reasonable wage as fast as possible. If you are not embarrassed by the first version of your product, you’ve launched too late-Reid Hoffman. Launch day is the final day of the 7 day startup. It’s an important day because this is the first day where you are running a real business with real paying customers. It’s the day where you put all the hard work from the previous six days into action. But it’s important to realise it’s just another day so don’t stress. A launch will very rarely make or break a startup especially an online one. So if your launch date doesn’t meet expectations don’t worry its just the beginning of you’re E-commerce journey.